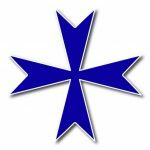 The Ordo Militaris Catholicus is a international defense and security initiative of Catholics for Catholics who are suffering persecution for their faith, where their defense and liberation requires military intervention or security actions, and this is allowed by local and/or international law. 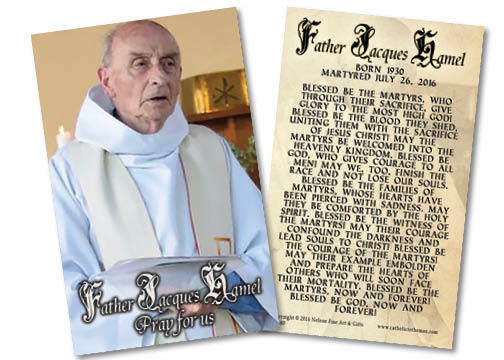 We were founded in the days following the martyrdom of Father Jacques Hamel, July 26, 2016 A.D., by Br. Alexis Bugnolo, a Franciscan hermit. In the U.S.A., the Order has founded a Montana Corporation, with the legal name, Ordo Militaris, Inc., as a Private Military Corporation, to conduct the defense and security initiatives that the Association seeks to undertake. To know more about how you can help or join the Order, see our Sign-up page or our Donations page or Investment Page. To read more about the Order and its form of organization, read about the Justice of Our Cause, or Our Holy Rule, and about how everyone can help us get the word out. Also, if you like, take the time to learn what our insignia signifies. 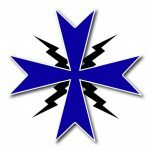 You can also watch a videos about the initiative and the corporation: about A Complete Explanation of our Association, Or Listen to our numerous Radio programs, at Ordo Militaris Radio: click on Cross here =>. The Order seeks to recruit chiefly Catholic Veterans who wish to put their military skills and knowledge to service in the defense of fellow Catholics, and this principally out of a desire of fraternal charity, not personal gain. As a religious association of Catholics we aim to combine the unique aspects of military and religious service as a work of mercy towards our fellow Catholics. 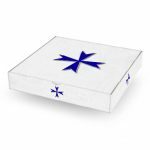 About our PMC, Ordo Militaris, Inc. Following in the footsteps of the brave Catholics of old, who forsook family, home and nation to go overseas to the rescue of Christians being persecuted for their faith, we have begun this security and defense initiative of Catholics for Christians who are being persecuted, where their defense and security requires humanitarian aid and security solutions which only a private military corporation could lawfully provide. We aim to be a non-political, transnational humanitarian effort with a distinctively Catholic ethos and spirit, providing a method of private collaboration and intervention separate from the national foreign policies of sovereign states, while working fully within the limitations of national and international laws and conventions. While engaging principally in humanitarian relief efforts, either directly or through the provision of security solutions, we intend a robust business strategy to offer our services to existing humanitarian efforts who have need of private security solutions in those areas of the world which are high risk, as the principal foundation of our business strategy. At present, throughout the western world, there exists no such particularly Christian effort which blends security and defense with humanitarian aid, in part because classical charities or non profits are excluded from security and defense activities and programs and in part because in recent centuries the concept of security and defense as a humanitarian activity has all but been forgotten. As part of our transnational strategy, we are currently seeking to establish subsidiaries overseas so as to increase the multifaceted advantages of an international presence and to take advantage of the unique resources and talents of Catholics who participate in our effort from throughout the Catholic world. As a Montana Corporation directed by Catholics with deeply held religious beliefs we hope to provide unique solutions with an extremely high ethical rigor, in an age which sees increasingly religion as a security problem not a solution. We are formed as a private military corporation, for profit, so that we might be capable in US law to apply for government defense contracts, fund the security and military needs of lawful Christian initiatives overseas and train and prepare volunteers who wish to serve with us on overseas missions. We are committed to being a corporation led by and employing principally US Military Veterans who see and wish to serve Jesus Christ as the King of Kings and the Prince of Peace. In this way, we hope to offer veterans an utterly unique way to put their skills and experience to work defending their innocent and helpless brothers in Christ the world over. If you would like to form a Local Chapter of our Order in the USA or abroad, please, first, become a Lay-Member of our Order, by making a pledge through our Donation Page, and then get yourself a Recruitment Kit. 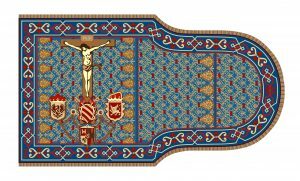 We are also forming Chapters in other Nations such as Poland (see our Contact Page)..
© 2016 – 2019, Ordo Militaris Inc.. All rights reserved. Certain incorporated images are public domain.